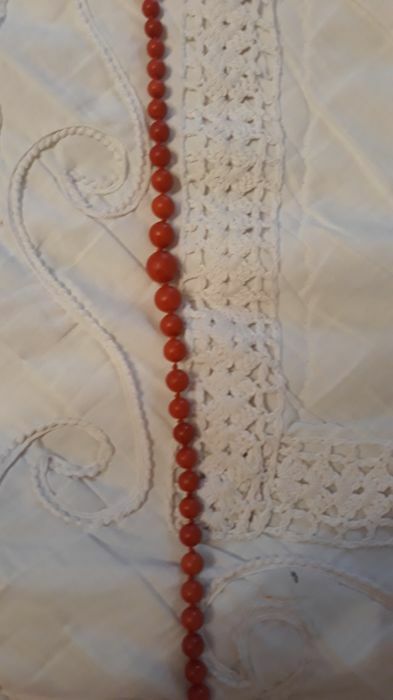 Antique precious coral necklace. 39 grams. 100% genuine Mediterranean Sea. 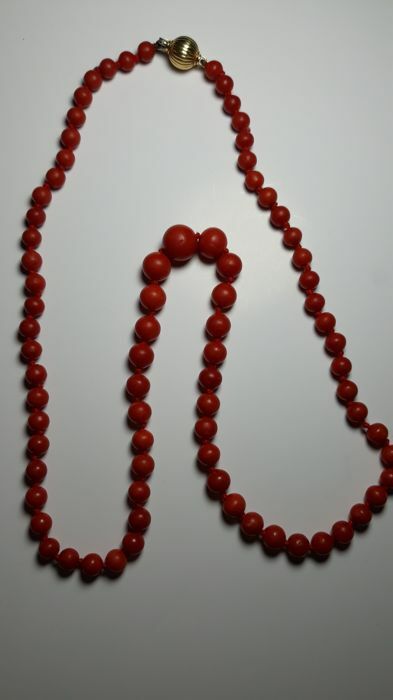 Red coral (corallium rubrum). 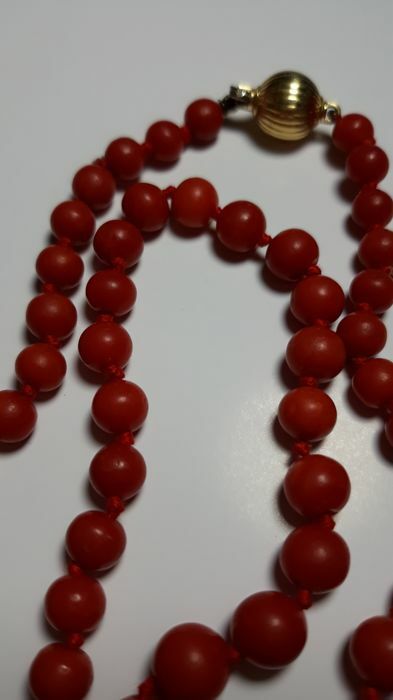 The beads of the necklace have a thickness of 6 mm ascending to 12 mm for the central coral. 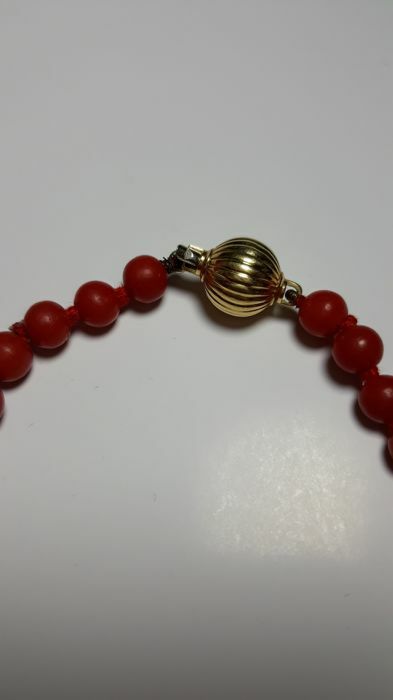 Both the necklace and the clasp are in good condition. 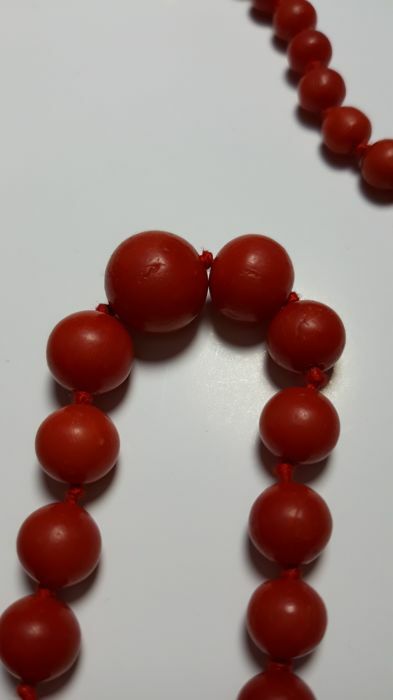 100% natural antique precious coral. 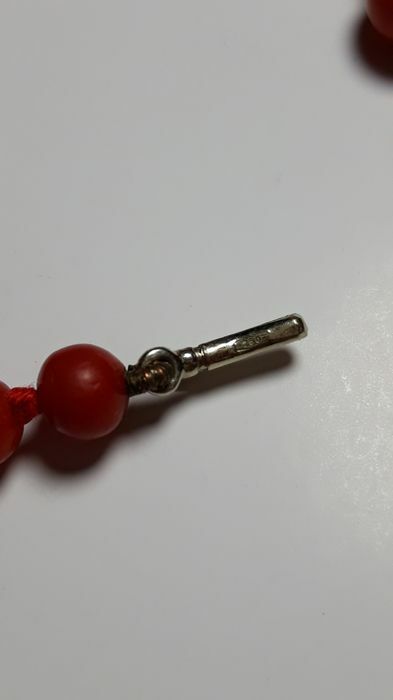 Orange-red, not dyed, no bamboo.